The Motiv Agility Drawstring Sackpack is a fun, lightweight bag for carrying your bowling shoes and accessories to the lanes or for a quick trip to the gym or really for anything you want to carry (except for a bowling ball). 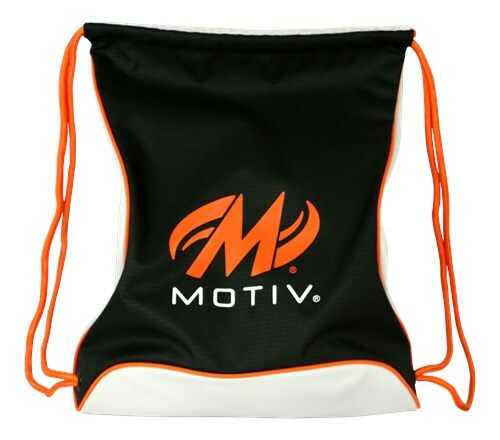 Due to the time it takes to produce the Motiv Agility Drawstring Sackpack Black/Orange ball it will ship in immediately. We cannot ship this ball outside the United States.